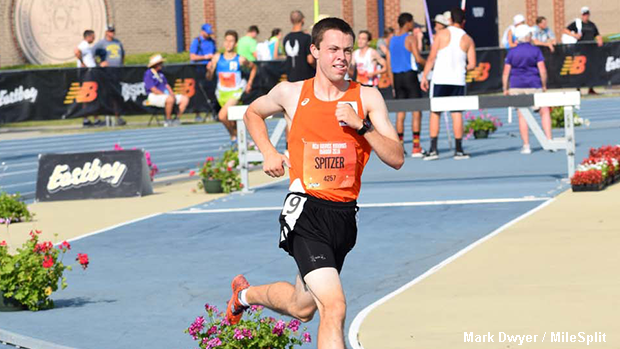 Versailles' Joe Spitzer claimed the Emerging Elite 2 Mile race win due to his 9:24.06 effort. Incredible track and field action took place at New Balance Nationals Outdoor this past weekend in Greensboro! New national records, meet records galore, many US No. 1's and countless pr's were attained by top athletes from throughout the country at Aggie Stadium on the campus of North Carolina A&T University. 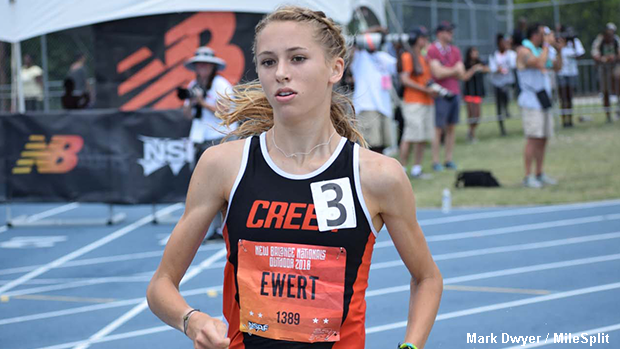 Highlights include Katelyn Tuohy's phenomenal 4:33.87 1 Mile clocking and the first half of Taylor Ewert's ultra impressive weekend double. 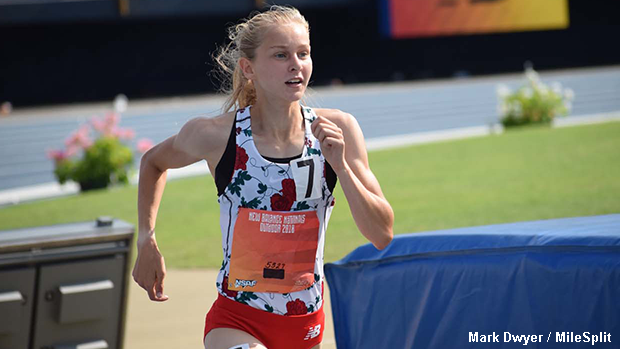 The Beavercreek rising junior posted a time of 6:38.79 to earn the 2000m Steeplechase victory at NBNO and then made her way to the USATF Junior Championships in Indiana where she won the 10K Race Walk event in a national junior record time of 49:07.52. Check out the following links to easily access all of the information that was provided by the MileSplit staff who were on-site in Greensboro, as well as the content created by the various webmasters and contributors throughout the entire network.